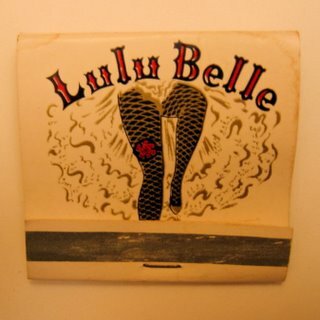 About 20 years ago, while paging through a catalog, I came across a frame for displaying matchbook covers. Since my father had a big drawerfull of matchbooks from the 50s and 60s (my mom was always after him to toss them), I gave him the frame for Christmas. He put some beautiful matchbooks in the display. I'm not sure how he chose them, but it looks as though he picked ones from his travels for the Office of Naval Research and NASA — the majority of them from San Francisco, Los Angeles, and various desert test stations in the Southwest. There is also a nice group from posh restaurants in Washington, D.C. I look at these covers and I'm taken back to the era of the Cold War, men wearing fedoras, cocktail lounges, cool jazz, and Raymond Chandler. The cover for the Blue Fox in San Francisco opens to give the address of "659 MERCHANT STREET, OPPOSITE THE MORGUE." Somehow, I don't think "THE MORGUE" was a proto-Goth club. 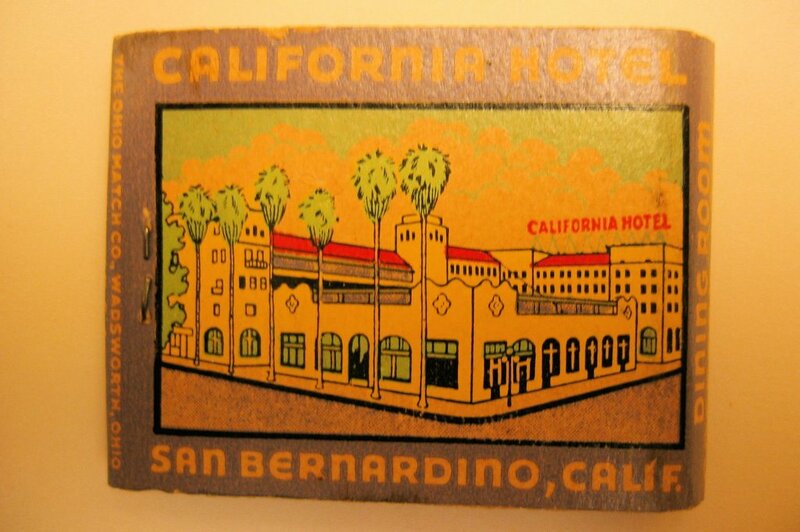 The California Hotel, San Bernardino. 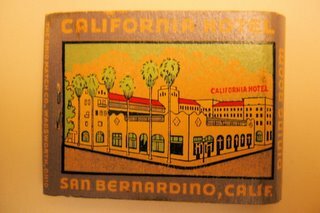 There are similar covers showing Motel Freso (in Fresno) and Furnace Creek, a hotel in Death Valley. 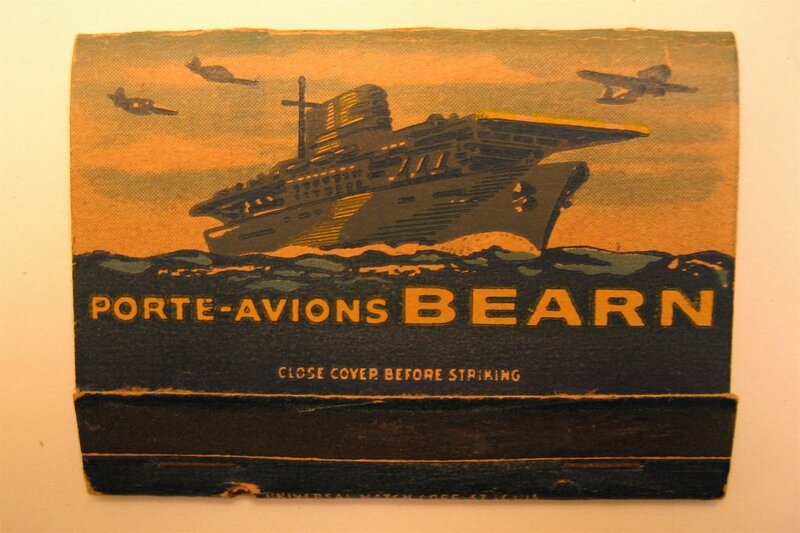 The Porte-Avions Bearn (aircraft carrier). 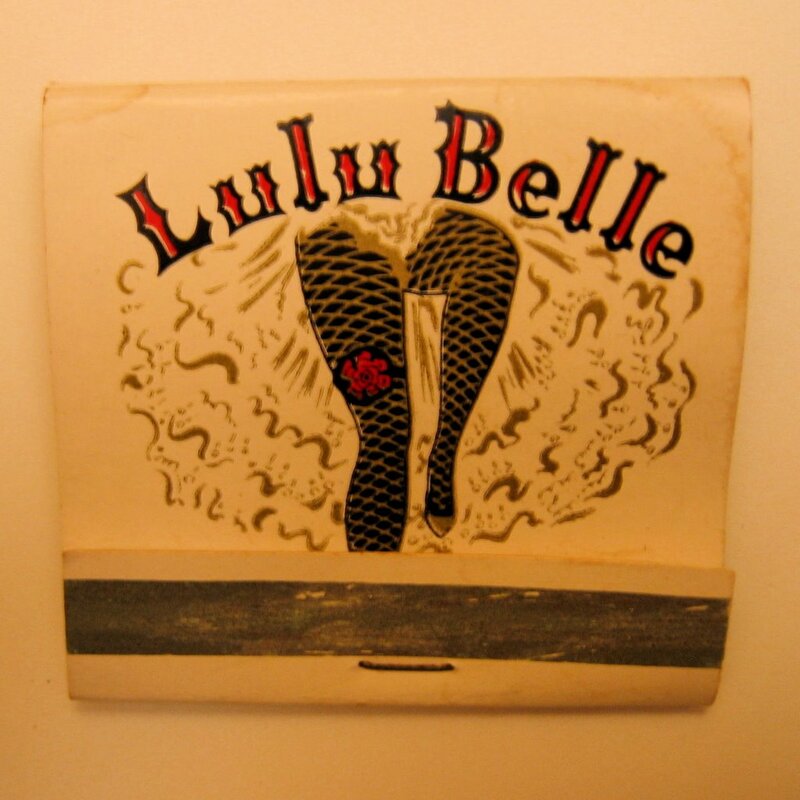 There were fewer European matchbooks than I'd expected; the other one was from the Grand Hotel National Luzerne. My father was so impressed by the Grand Hotel that he insisted that we all stay there in a suite in 1984, when I was living in Europe and he brought my mom over on her first trip overseas. It was a pretty spectacular place, with Oriental rugs in every room, and a waiter who brought me breakfast in bed. The Balkan Room, Washington, D.C. 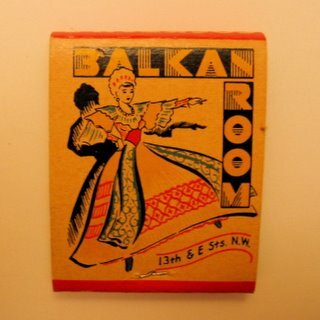 I don't remember my dad mentioning the Balkan Room, though he did talk about the Roumanian Inn. These were the days of three-martini lunches! 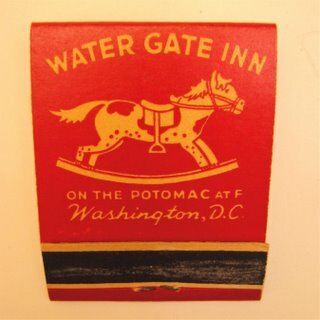 Water Gate Inn on the Potomac, Washington D.C. This Water Gate preceded the Watergate business complex where all the Nixon-era skullduggery took place. My parents took me to this Pennsylvania Dutch restaurant a few times; it was famous for its popovers. 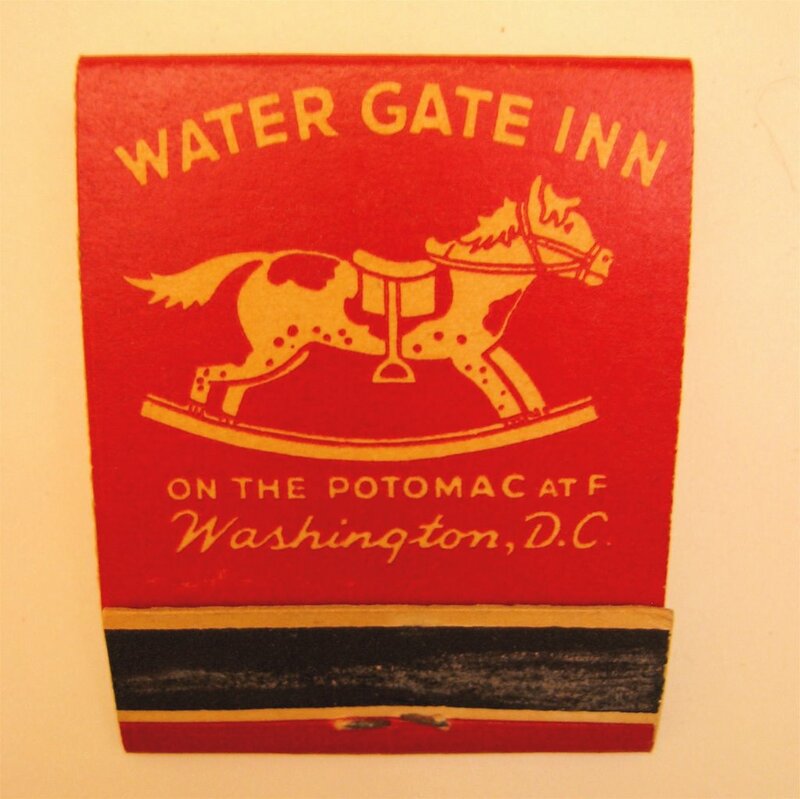 The Water Gate Inn was demolished in 1966 to make way for the Kennedy Center, but the popovers live on at the sister restaurant, Normandie Farm.